What’s the Latest on Supplier Consolidated Billing? 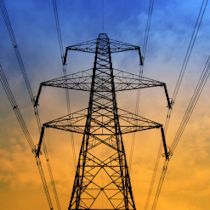 We have blogged previously about a petition filed at the Maryland Public Service Commission by five electric and natural gas retail suppliers seeking implementation of supplier consolidated billing (SCB). We did a video about it when the petition was filed, and our last blog on this topic was in February 2018, just after the legislative-style hearing concluded in Baltimore. In the blog, you’ll see that we summarized the events at the hearing and even provided a picture of the four supplier witnesses testifying before the Commission, along with Brian Greene of our firm, so that everyone could get a feel for what it’s like to appear before the Commission (from the view of the Commissioners, no less!). So what happened in the case since then, you ask? In May 2018, the Commission issued this Notice of Briefing Schedule, requesting comments primarily on the legal issue of whether Maryland statutes allow a supplier utilizing SCB to initiate the disconnect process if the customer does not pay. Parties, including the petitioners, submitted comments on June 14 and June 28. We are now awaiting a Commission order or further guidance. There’s also an SCB proceeding pending at the Pennsylvania Commission. On June 14, 2018, the Commission held a legislative-style hearing that will continue on July 12, 2018. You can get more info on the Pennsylvania proceeding here. Delaware is also moving towards an SCB proceeding, with a recent Hearing Examiner’s report in Docket No. 15-1693 recommending approval of a Stipulated Order that calls for a new docket to be opened now to address whether SCB is permitted in and should be adopted in Delaware. If you have questions about SCB or electric or natural gas retail service in general, please contact one of GreeneHurlocker’s energy and regulatory lawyers.